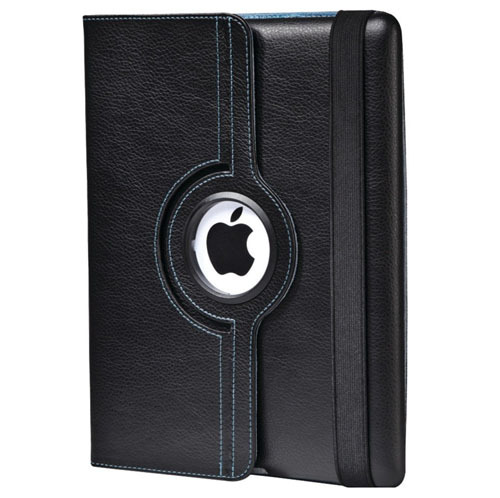 The Targus Versavu Rotating Stand iPad 2 Case features a patent-pending mechanism that frames the Apple logo and allows the iPad to rotate inside. 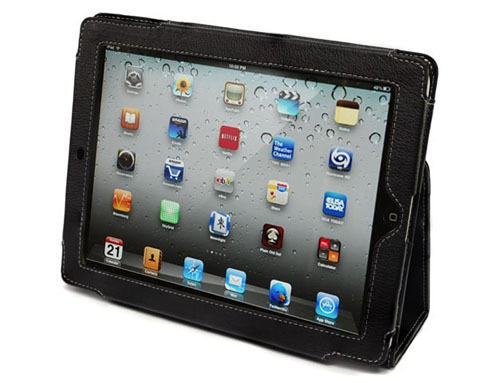 The form-fitted design securely holds the iPad in place, and the soft interior lining protects the iPad 2 against scratches. The Targus Versavu iPad 2 case offers three viewing positions including a lower angle which is ideal for typing on the screen. 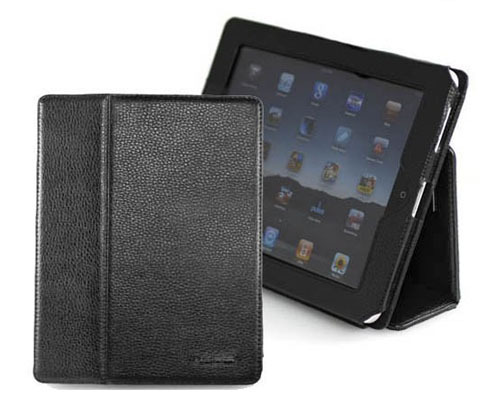 This popular premium leather iPad 2 case cover and flip stand by Snugg folds in all the right places. It stands up perfectly for FaceTime or watching movies, and a cutout in the rear allows you to use the camera without taking the iPad 2 out of the case.